In its past two policy rate announcements, the Bank of Canada has held interest rates steady as it acknowledges certain potential vulnerabilities in the economy. But even though the hikes will likely not come as frequently, analysts are predicting more hikes to come this year. A good place to start, he said, would be to emphasize to clients that their portfolios are set up to weather the effects of interest-rate fluctuations. 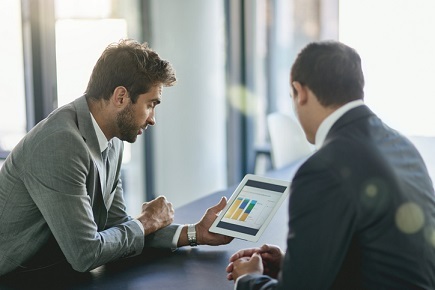 Despite an advisor’s efforts to balance portfolio structures and communicate with clients frequently, advisors still need to remind certain clients to not let themselves get unnecessarily affected by financial news events. “Interest rate hikes are telling moments … learn which of my clients are nervous investors and most likely to contact me after they hear news that concerns them,” Lord said. For such clients, a rate hike presents a good time to re-evaluate a client’s risk tolerance and head off any misinformed decisions. Lord has found that his clients’ characteristics tend to affect their responses and concerns during rate increases. Semi-affluent clients who live below their means, he has found, tend to see those events as an opportunity to buy certificates of deposit, treasuries or tax-free bonds and receive a reasonable rate of return. In that case, the advisor must highlight aspects of their financial plan that will experience negative long-run impacts, particularly as the overall economy suffers. Rate-hike responses also differ based on which age group a client belongs to. Citing a recent Million Dollar Round Table study, Lord said that Americans between 18 and 29 years old are more likely than older ones to say that higher interest rates will hurt their finances. “Since topics such as student loans and mortgages are areas of concern for members of that age group, media coverage of interest rate hikes may spur further action and cause them to seek out an advisor,” he said. For clients within that demographic, Lord said, advisors must provide proactive communication and tailored guidance to get ahead of any concerns. Having a dedicated debt management team to address younger clients’ concerns, he added, could help a practice prospect within that age group.